Hello and welcome to the Kids Club. This blog is all about having fun at home, being creative and doing things you never thought were possible for as little money as possible. This is the first in a new breed of blog posts from me. They will now be posted weekly and be much easier to digest. This month it will be all about Harry Potter. My wife and I are big Harry Potter fans and we have started to watch the films with our daughter so as our half term treat we went as a family to the Harry Potter Studio Tour in Leavesden. Every week this month I will include some pictures from our time at the tour. I highly recommend this attraction as a day out for the family, if you ever get the chance to go. It amazed me just how busy this place still is. We visited maybe three or four years ago too but without our daughter as she was too young. 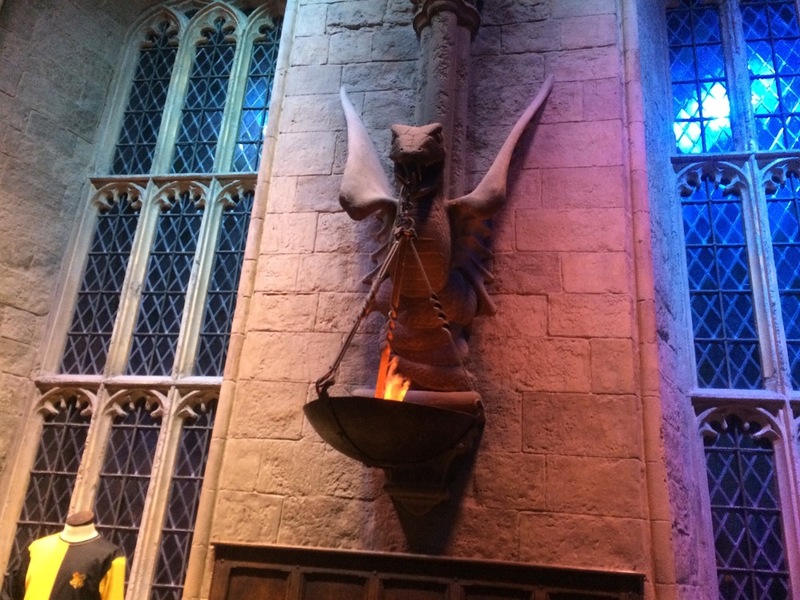 The tour kicks off with a brilliant entrance into the great hall from Hogwarts (no spoilers). This set is just incredible to walk through and the pictures below do not do it justice. 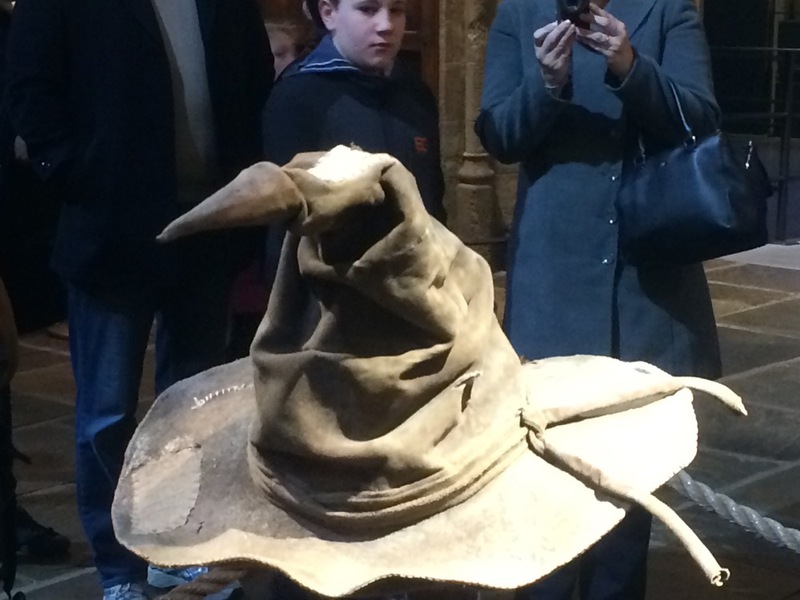 The first part of the tour focuses on Hogwarts and the Gryffindor dorm room etc. Lots of fascinating facts, great photo opportunities and behind the scenes secrets of how they achieved the different magical effects. One of the things I liked about the tour this time was the Passport system they have for kids. I have seen other attractions do something similar to this but we didn't see this on our first visit to Leavesden. Every child gets a free passport with facts and questions in. Each page has a black and white picture from the films which can be coloured in too. The kids are set a task to find dozens of golden snitches that are hidden throughout the entire tour and you can tick them off as you find them. There are also special stamps that you need to find and get in your passport to complete it. Our daughter loved doing this as to be honest some of the facts and behind the scenes bit are not that interesting to kids. I will show some more of our pics and what the next part of the tour consisted of next week but for now lets get on with making our very own Harry Potter Wands. Hot glue gun and glue sticks, these are just super handy to have at home, you'll find so many other things you can do with them. a range of brown acrylic paints in different shades. All of this is available from your local craft or Hobbycraft store. First you'll need to heat up the glue gun and put hot glue all over the thicker end of the chopstick to make a handle for the wand. I know at this point it won't look great but trust me, once it's painted these look amazing. It takes quite a bit of glue (I probably used 2 full sticks on the more…..glue-y ones). Be careful not to burn yourself. If you get it at just the right time, when the glue’s pretty set but not all the way set, you can roll it on some paper or between your hands to smooth it out some. But don’t burn yourself! I experimented with different patterns. Some I put lots of glue all over. I did a couple in a spiral pattern. Some I just did glue in two spots to differentiate the handle part. Then you paint. I used solid colors on some of the wands, and for others I kind of swirled two different browns together to get a more variegated look. I went back with a cotton bud to get some of the hard to reach places where the glue was. Then lay them all out on newspaper and spray a few coats of the sealant on. A quick thin layer is better than a big thick layer. Do a quick thin layer, let it dry and then coat it again to make sure they are covered. Do this a couple of times on each side. Finished. Once you get all the supplies together this is only a days work and they would be loved by harry potter fans. Great for Harry Potter parties, halloween, birthday gifts or just as a craft do at home with the kids. So what do you do once you have made the wands? Well first you need to know some Harry Potter spells so Wikipedia to the rescue here. Here is a great quick game to try if you are using this at a halloween party or maybe a Harry Potter themed birthday party. Blindfold a guest and have all the wands laid out on a tray. Play some harry potter music and let them take their time and feel for the wand that is to be theirs. It's a great take on the classic pint the tail on the ..... game. It will also take some time to get through all the guests, obviously just make sure that you have enough wands for every guest. But how about actually doing some magic, I have you covered there too! I have written a magic book, this book has been something that I have been giving out to the audiences of my shows for the past year and I have been getting rave reviews from it. Vol 2 will be out later this year and once again the only way to get your hands on it will be to come and see one of my shows. Take a look at the promo video for it, once your ready just fill in the form below and I will get the book to you within 48hrs, It's FREE. Thank you for taking the time to take a look at my blog and please do take a look at some of my older posts below or just use the search bar if you would like maybe some ninja turtles or something princess for your little ones to see what I have on here for you. Next week I will be sharing some great Harry Potter Cup Cake Recipes. In the meantime please do take a second to support my blog and give any spare change you can afford. You can also get some cool free gifts by hitting that give button below.